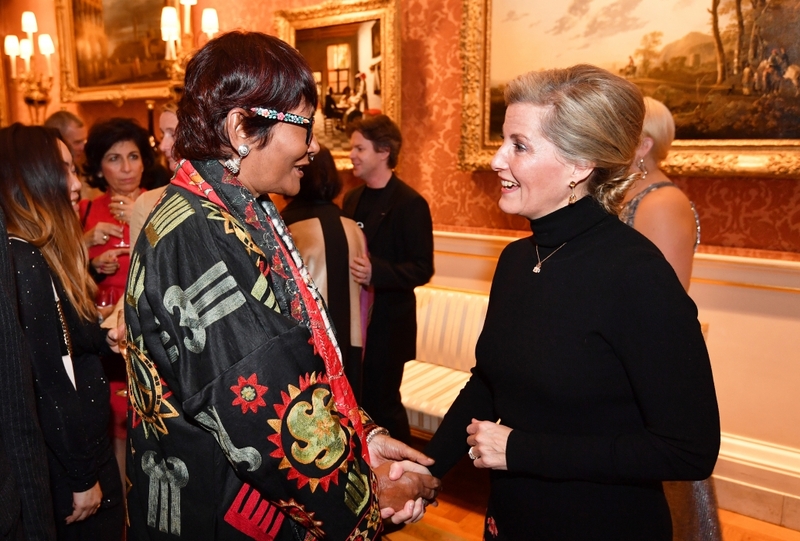 The Countess has been Patron of the college since 2013. 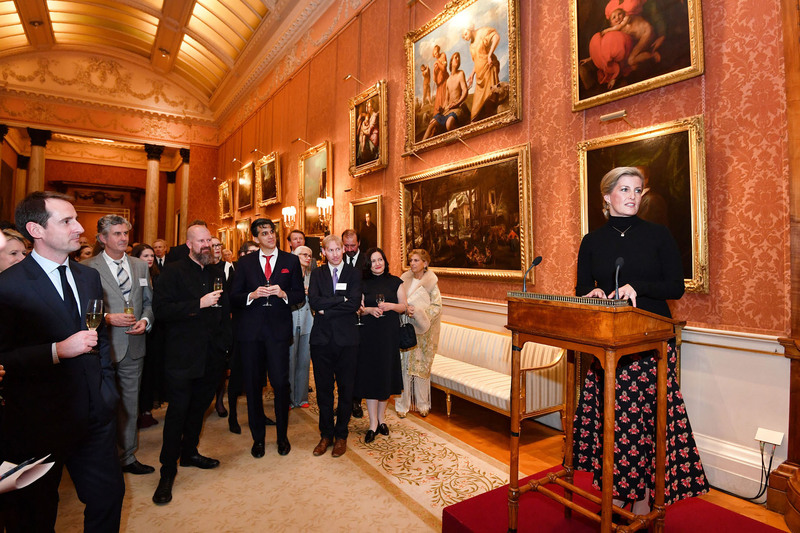 The Countess of Wessex hosted a reception at Buckingham Palace earlier this week to celebrate the 10th anniversary of the London College of Fashion’s ‘Better Lives’ progamme. ‘Better Lives’ uses fashion to tackle issues around equality, social mobility, diversity and sustainability. The college has collaborated with HM Prison Service to equip women with skills during their time in prison to aid employment and education opportunities. Last year, The Countess visited HMP Downview Prison and Young Offenders Institution in Sutton, to find out more about 'Making for Change' - a fashion training & manufacturing unit established in 2014 by the Ministry of Justice and London College of Fashion, University of the Arts London. ‘Making for Change’ aims to increase well-being and reduce reoffending rates amongst participants by equipping them with professional skills and qualifications within a supportive environment. To give female prisoners the chance to come out of prison with a genuine job opportunity is a wonderful thing to do. 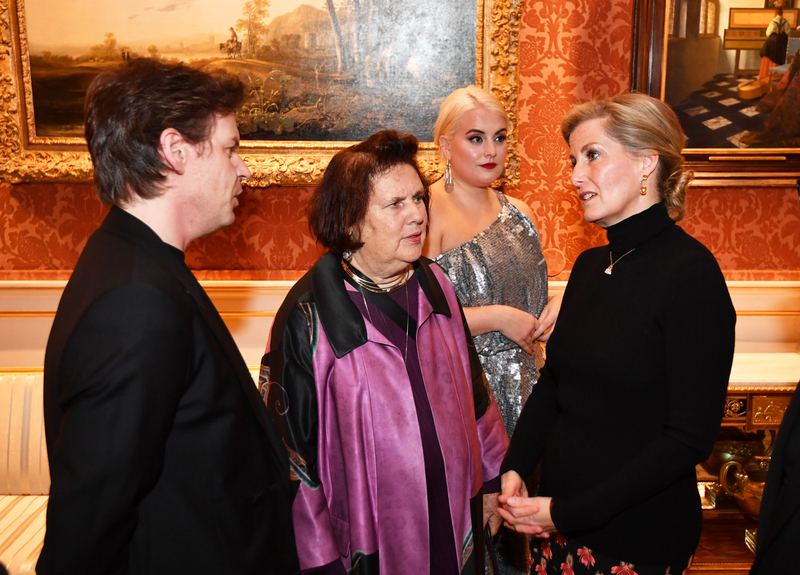 HRH was joined by members of the fashion industry, including designers Christopher Kane and BiBi Russell, Vogue Online Editor Suzy Menkes, and model Felicity Hayward. Learn more about The Countess' work here.